Built in 1964 as ST Hess Voyager at Bethlehem Steel Sparrows Point Yard, Baltimore, MD. for the Hess Shipping Corp.
ST Chesapeake is operated under contract by Interocean Ugland Management Corp., Voorhees, N.J.
55k ST Chesapeake (AOT-5084) underway, overhead view, date and location unknown. 67k ST Chesapeake (AOT-5084) off Fort Story, VA., 8 June 2006. 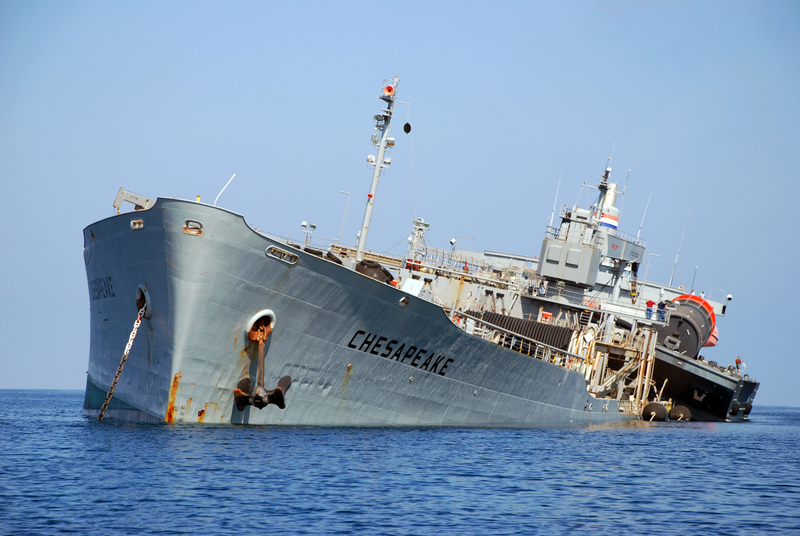 - The crew aboard the Transport Tanker Chesapeake is preparing a single anchor leg moor (SALM) to be slid over the side of the ship during exercise "DELMAR". The SALM is used to keep the ship at anchor during replenishment of fuel and supplies to shore activities. Operation "DELMAR" is organized by the Military Surface Deployment and Distribution Command (SDDC) and will challenge a variety of units to jointly provide humanitarian assistance to an area devastated by a natural disaster. The focus of the exercise for the month of June is based around the Hampton Roads area if it were to be hit by a major hurricane. 70k ST Chesapeake (AOT-5084) off Fort Story, VA., 8 June 2006. 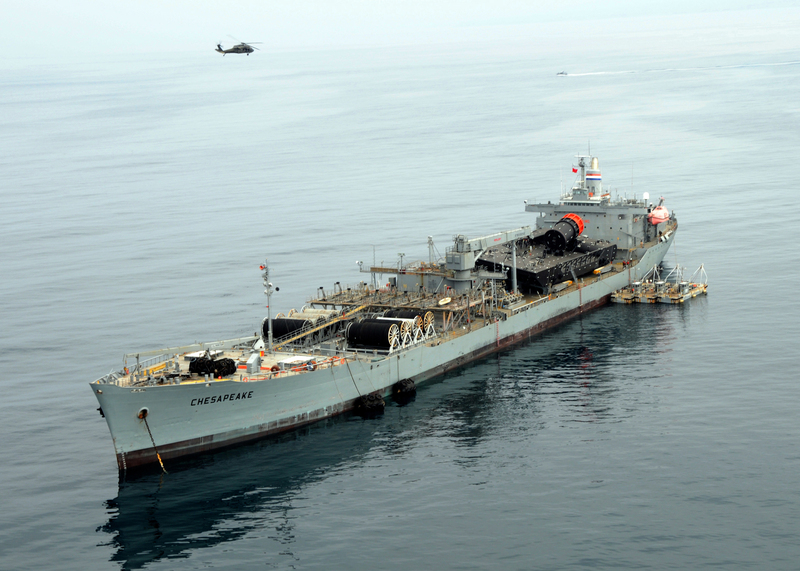 - The crew aboard the Transport Tanker Chesapeake is preparing a single anchor leg moor (SALM) to be slid over the side of the ship during exercise "DELMAR". 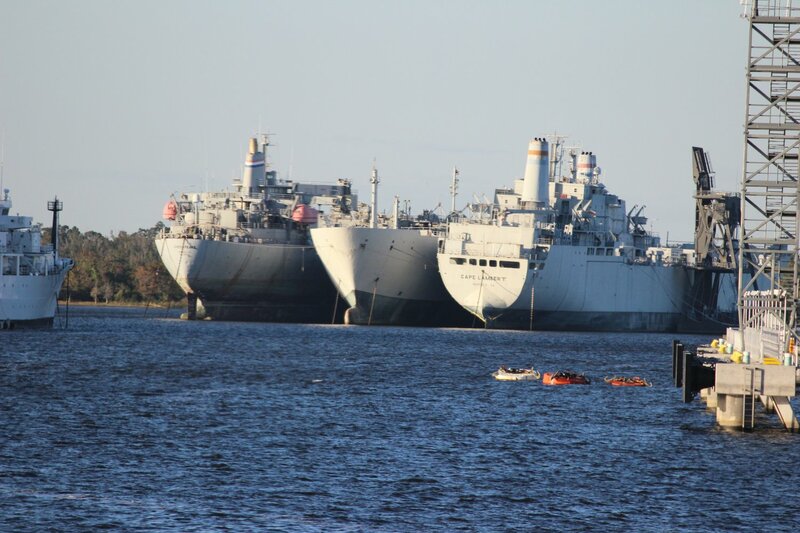 The SALM is used to keep the ship at anchor during replenishment of fuel and supplies to shore activities. Operation "DELMAR" is organized by the Military Surface Deployment and Distribution Command (SDDC) and will challenge a variety of units to jointly provide humanitarian assistance to an area devastated by a natural disaster. The focus of the exercise for the month of June is based around the Hampton Roads area if it were to be hit by a major hurricane. 1726k The RRF offshore petroleum discharge systems ship ST Chesapeake (AOT-5084), activated for this exercise, is anchored off the coast of Red Beach in Camp Pendelton, CA., 22 July 2008, as an UH-60 Blackhawk helicopter flies over head during Joint Logistics Over-The-Shore (JLOTS) 2008. 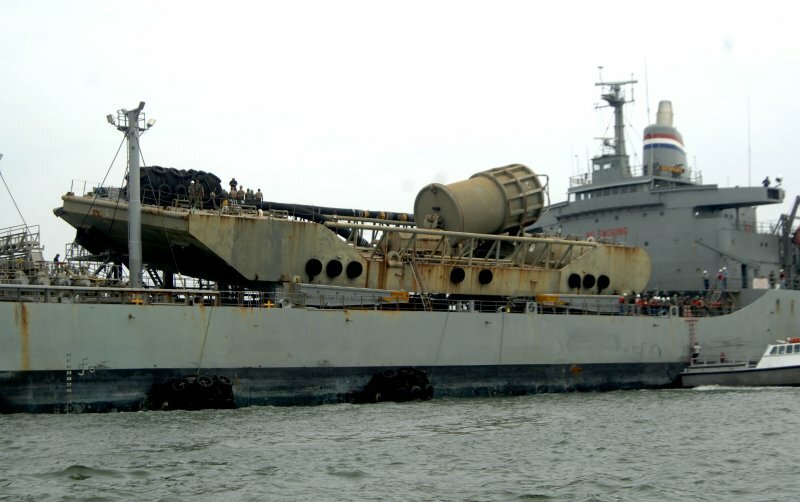 JLOTS 2008 is an engineering, logistical training exercise between Army and Navy units under a joint force commander (JFC) as a means to load and unload ships without the benefit of deep draft-capable, fixed port facilities. 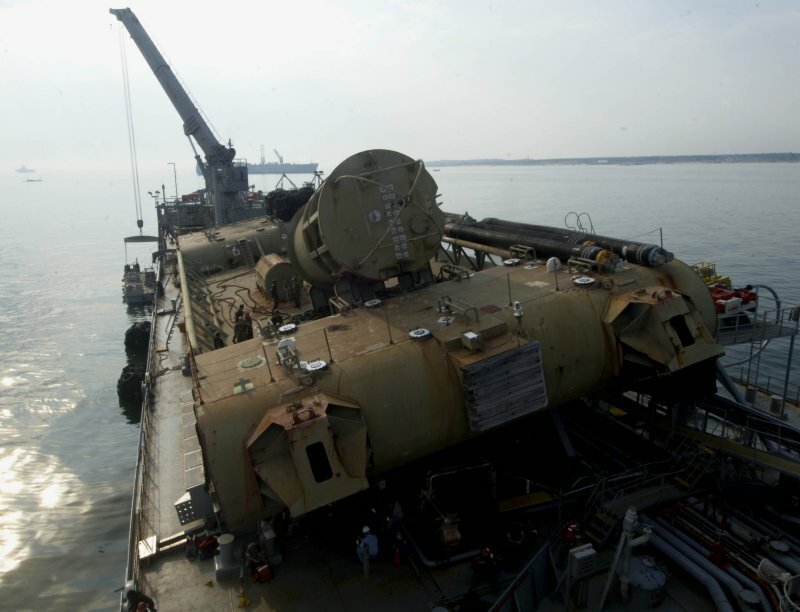 4890k ST Chesapeake (AOT-5084) tilts 13 degrees to port to release the single anchored leg moor (SALM) into the ocean. 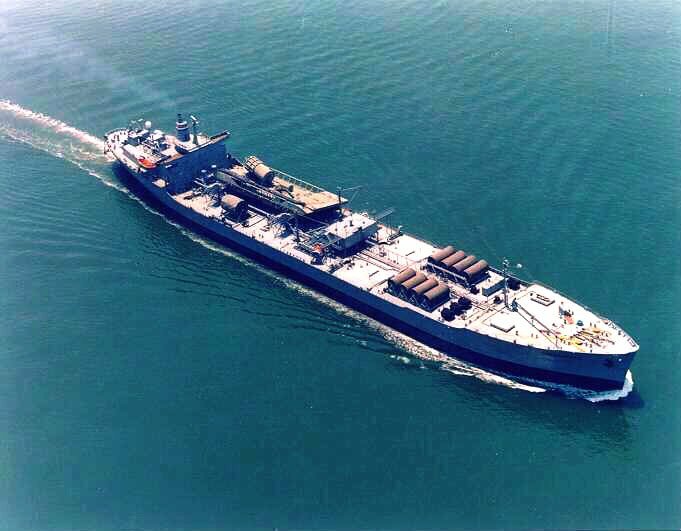 The SALM is used to keep the ship at anchor during replenishment of fuel and supplies to shore activities.